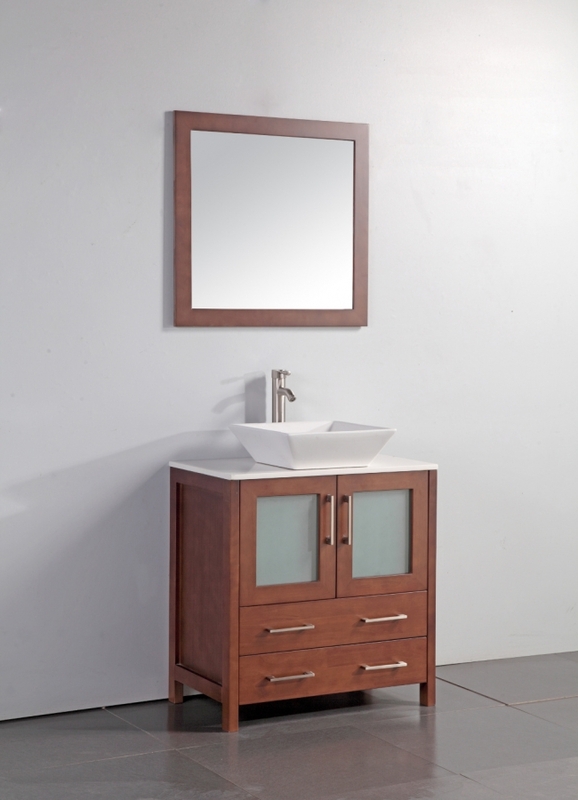 The rich tone of the cherry finish on the base of this single sink vanity adds a wonderful touch to the modern design. The crisp white of the counter top and sink vessel make a nice accent to this wood tone, as do the brushed nickel hardware pulls. The double door cabinet is wonderful for storage and the frosted insert panels add much to the over all look of the piece. 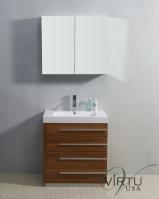 Two drawers at the bottom of the base make nice spots for storing small items in the bathroom. 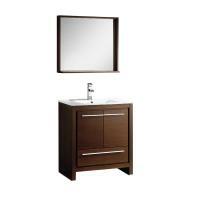 The matching mirror completes the look of this ensemble and also gives a very nice sized area for personal viewing.